The financial statements and other information contained in the report available for download have been prepared by management, which is responsible for the information’s integrity and objectivity. 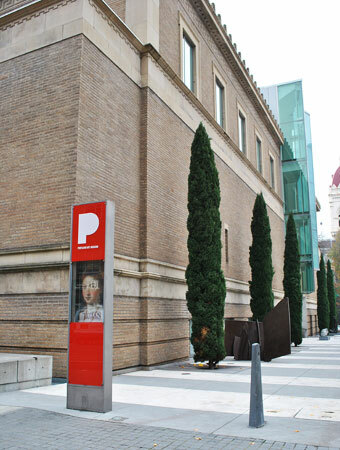 The financial statements have been prepared in accordance with generally accepted accounting principles applied on a consistent basis and are deemed to present fairly the financial position of the Portland Art Museum and the changes in its net assets and cash flows. Where necessary, management has made informed judgments and estimates of the outcome of events and transactions, with due consideration given to materiality. As a means of fulfilling its responsibility for the integrity of financial information included in this report, management relies on a system of internal controls established to ensure, within reasonable limits, that assets are safeguarded against loss or unauthorized use, that transactions are properly recorded and executed in accordance with management’s authorization, and that the accounting records can be relied upon to prepare financial statements in accordance with generally accepted accounting principles. This system is augmented by careful selection and training of qualified personnel and the dissemination of written policies and procedures. The financial statements have been examined by the Museum’s independent accountants, Gary McGee & Co., whose report follows. Their examinations were made in accordance with generally accepted auditing standards. The Board of Trustees meets periodically with management and the independent accountants to review accounting, auditing, internal accounting controls, and financial reporting matters, and to ensure that all responsibilities are fulfilled with regard to the objectivity and integrity of the Museum’s financial statements. The Board of Trustees also reviews the scope and results of the Museum’s audit, and current and emerging accounting and financial requirements and practices affecting the Museum.